Thanks to our three branches spanning a vast distance across Victoria we can arrange delivery locally and further abroad. From far East Gippsland and into NSW as well as West of Melbourne and throught all of Gippsland. 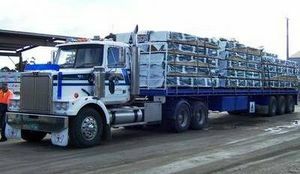 We have the ability to deliver a wide range of sizes for orders with a ute, trailer, flat bed truck, semi-trailer and B-Double. Wholesale deliveries can be made with a Semi or B-Double in-store or direct to your customer. We can arrange quick delivery to local areas, sometimes same-day! If you dont see your town name here don't worry, just enquire at our Morwell or Bairnsdale branches to find out when we can deliver to you.